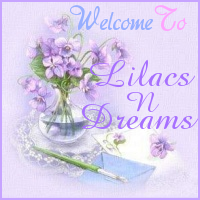 Welcome to LilacsNDreams Blog Site. Nice to see you, and glad you stopped in. Hello Everyone, and happy to see you dropping in with LilacsNDreams! I normally keep this site for sharing items found, likes and dislikes, informational, things I have read, business, things of interest, and etc. 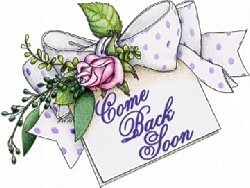 Generally I try not to do anything personal here, but today wanted to visit with you all shortly. As you have seen my posts are off this week compared to what I normally share, and I apologize to you deeply for that. I have been home in bed ill for about 2-3 days now. Starting to show signs of improvement, but still worn out from it, doing a lot of sleeping, and the usual of what comes with this stuff. 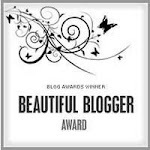 So, just letting everyone know I am still around, and did not purposely forget about my postings for the week. Hope this finds you all doing well, and hopefully everyone had a great week! Here is the start to our weekend, and wishing you all a super weekend with all that you do! Thanks so much for visiting, and sharing your time with LilacsNDreams everyone! Appreciate it, and enjoy seeing all of you, and hearing from you too.